Stamped “BC” inside small fish shape to outside of base. Large heavy earthenware bowl with tube handle. Clear gloss glaze to whole of body with blue check pattern flashing to exterior. 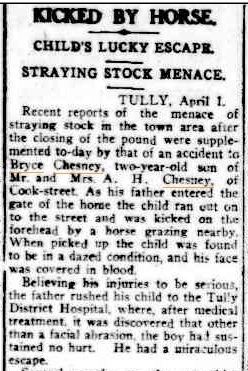 Reinvention could be the word for Bryce Chesney because he has had several careers in an eventful life. Born in 1930 in Tully, Queensland to father, Alexander Hugh Chesney and mother Margaret, Bryce showed an artistic side from an early age, winning an orchid-growing prize in his early primary school years. He also won a prize for his kelpie dog. 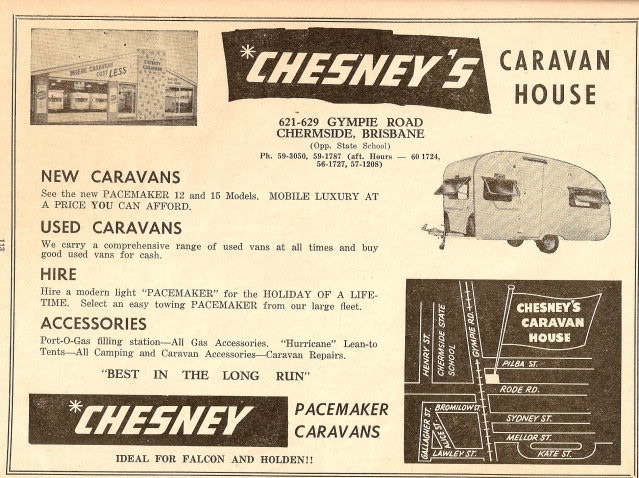 His father served in the Royal Australian Air Force for a short time during World War II then after buying a motor garage, began making and selling caravans in Queensland, or trailers to my American friends. 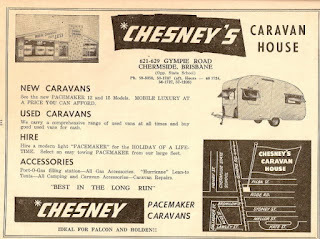 Check out Chesney Caravans on the interweb and see what they built. Young Bryce joined brothers Neil (who still travels around in caravans) and Frank and began working there as a fitter and continued on in various capacities for many years until the early 1970s when he studied to become a Minister of religion. Around 1980, he and wife Valerie moved to Sydney where he taught himself pottery-making. Bryce used a modification of the early Christian symbol of the sign of the fish or Icthys, His work was marked with a stamped impressed BC inside the fish and may (or in the case of these ramekins) may not have his incised signature. These are large wheel thrown earthenware ramekins dating from the early 1980s. Bryce made pottery on and off for the next fifteen years until his retirement in the mid 1990s. He and Valerie now live in a retirement home near Maroochydore in Queensland. 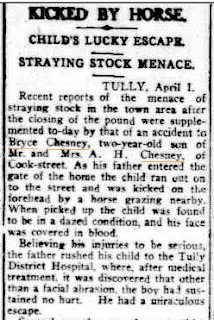 I hope I have got this right, if not, could one of the Chesney's give me some more information.